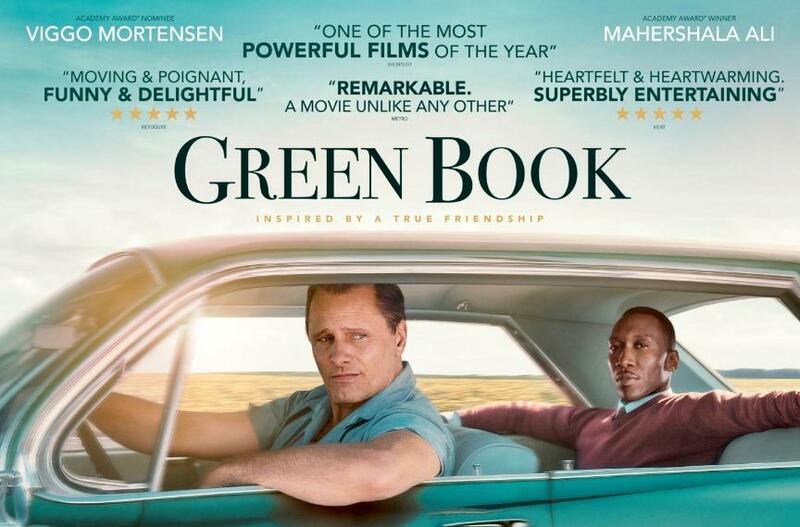 Green Book but it's an entertaining, crowd-pleasing film that wins you over thanks to two excellent lead performances from Viggo Mortensen and Mahershala Ali. It's the true story of an Italian-American working class man called Tony (Tony Lip) Vallelonga who gets a job as valet and driver to a refined African-American classically trained pianist called Don Shirley as he goes on a concert tour of the deep south in 1962. Unsurprisingly the film becomes a culture clash drama with the two men rubbing each other the wrong way throughout but also ultimately forming a bond and learning from each other. It's this dynamic, the humour that evolves from it and the actors that bring it to life that really makes Green Book sing. Ali in particular gives a nuanced impressive performance that deserves to pick up several best actor nominations. If you're wondering about the title it refers to the annual travel guide used by African-Americans during the Jim Crow era that let them know which hotels, motels and restaurants would cater to them. Green Book - "What Is The Green Book Featurette"